The Lagoa area is not only the most exclusive neighborhood in the affluent Zona Sul district but is the third-most expensive neighborhood in all of South America. 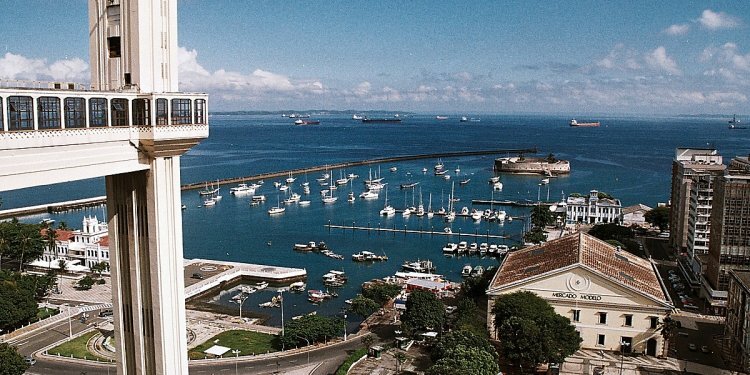 It is also home to a large lagoon known as the Lagoa Rodrigo de Freitas. The four-mile path encircling the lagoon is a favorite spot for joggers and cyclists. Open-air cafés and restaurants along the shore offer stunning views of the lagoon and the beaches beyond. Football (or soccer) is by far the most important sport in Brazil and the Maracanã Stadium is one of Rio’s most important landmarks. Once the world’s highest capacity football venue, it was able to hold nearly 200, 000 people when it opened in 1950. In modern times, the capacity has been reduced because of safety considerations, and the introduction of seating for all fans. It was partially rebuilt in preparation for the 2014 World Cup and is currently able to seat 80, 000 spectators making it the largest stadium in South America. One of the largest urban forest in the world, the Tijuca National Park covers a huge area of a mostly mountainous landscape. Visitors can hike to Rio’s highest peak, the Pico da Tijuca, to enjoy expansive views of Guanabara Bay and the city below. Nearly destroyed in the early 1800s by encroaching coffee plantations, much of the forest was replanted by hand in the latter half of the century with as many as nine million trees. Attractions include the Mayrink Chapel, which has murals painted by the famed Brazilian neo-realism painter Cândido Portinari, and the tumbling 100-foot Cascatinha Waterfall. Located in the downtown section of Rio known as “Centro”, the Lapa neighborhood was once the city’s red-light district. Today, the area is known for its vibrant nightlife. Lined with samba and choro bars, the music and dancing spills out into the street on weekend nights. Most of the neighborhood’s architecture dates back to the 1800s, providing a scenic backdrop to all the festivities. It’s the perfect place to meet up with friends and cariocas to sample local cuisine and to sip caipirinha, the national cocktail made with sugarcane hard liquor and lime. Escadaria Selarón, a set of famous steps connects both the Lapa and Santa Teresa neighborhoods. Perched on a hill overlooking the city’s harbor, the Santa Teresa neighborhood invites visitors to step back in time and experience the faded elegance of Rio’s 19th-century plantation mansions and cobblestone streets. The region escaped development until 1896, when an aqueduct was built that linked the neighborhood to the city. The district was a haven for artists, musicians and writers in the 20th century, and although trendy clubs and boutiques have since overtaken the neighborhood, it still retains a friendly artist-colony vibe. The city’s last remaining streetcar, the Santa Teresa Tram, used to be a popular tourist attractions in Rio de Janeiro but was closed after a serious accident on the line. Located to the west of the Lagoa neighborhood, the Rio de Janeiro Botanical Garden, or Jardim Botanico, houses more than 8, 000 species of plants. Built in the early 1800s, the garden features many mature specimens, including avenues of towering palm trees. Visitors flock to the park to view the 600 species of orchids. The garden includes a number of monuments, fountains and features, including a Japanese garden, a pond filled with water lilies and the new Museu do Meio Ambiente, which displays exhibits that focus on the environment.